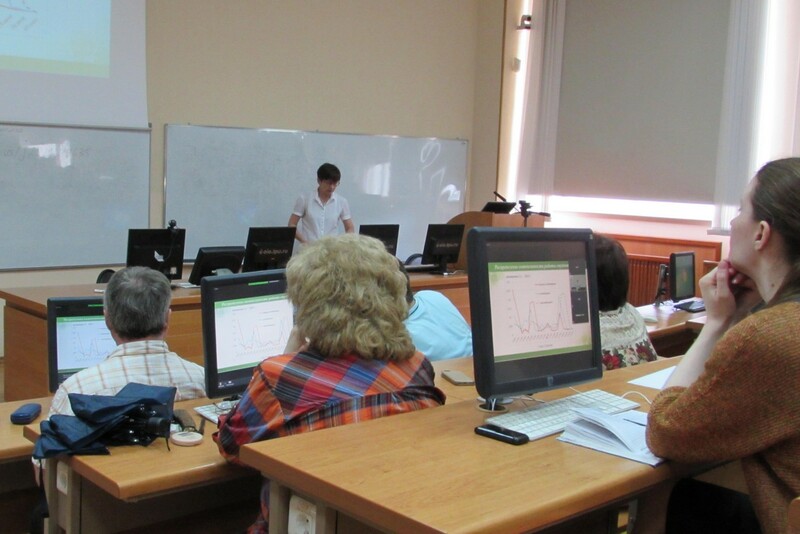 Tomsk Polytechnic University has given an Advanced Mathematics Masterclass: Online Support of All Forms of Education for the faculty of TPU and other Russian universities. The event was organized in the framework of the priority project Modern Digital Environment in the Russian Federation. As.Prof. Olga Imas from the Division of Mathematics and Computer Science of TPU School of Core Engineering Education, who is a multiple winner of the competitions for pedagogical skills in e-learning was a speaker at the Masterclass. ‘In our University the role of mathematics is fully understood in the development of engineer’s professional competences, therefore its study takes a significant place in the new program of the core engineering training. She is the author of a number of multifunction e-learning courses that are adapted to various teaching objectives and are actively used in the academic process. According to Olga Imas, an online course is an indispensable tool with the help of which a teacher can be partially relieved from the academic workload. During the Masterclass she presented her experience on how to make mathematics more practice-oriented, what advanced educational technologies make the process of studying math as interesting, convenient, efficient as possible, what secrets of organizing academic process in online courses should be taken into account in order to achieve planned results and receive qualitative educational services. ‘The audience was really interested in the process of organizing e-learning, i.e. the intensity of work of students throughout a term, students’ motivation, games, the use of interactive learning simulators and the pool of tasks. Specialists from TPU, TSU, TUSUR and MEPhI took part in the event. We were all very active and shared our professional experience with each other. Besides, we discussed vulnerable issues and advantages of teaching fundamental subjects online,’ noted Olga Imas. The event is part of the series of dedicated masterclasses organized by the Center for Digital Educational Technologies jointly with Tomsk Regional Center of Development of E-Learning Competencies.